If you are trying to find different ways to stimulate your scalp and prevent hair loss, a scalp shampoo brush is an easy way you can use right away in your daily life. In this review, we will talk about benefits of using scalp brushes as well as our top 3 recommendations (if you are searching for hair loss shampoos, read here). 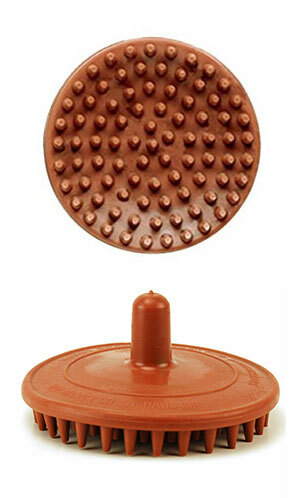 A scalp massaging shampoo brush (or shampoo applicator) has a lot of bristles. When you rub the applicator onto your scalp, it does much a better job at cleaning and removing any dirt or built-up compared to using only your fingers. Another benefit of using a shampoo brush is that while you are washing your hair, you can also massage your scalp by gently pushing the brush on the different areas of your scalp to increase stimulation. While you can achieve this using your fingers, the scalp massaging brush makes it much easier with less effort. The Marvy massaging hair brush is a high quality product that should last you many years. It is 100% made of rubber. So when it touches your scalp, it feels very gentle and you don’t need to worry about the brush scratching your scalp. Also, the brush is easy to keep it clean and you don’t need to worry about the brush getting moldy or developing musty odor/smell over time. 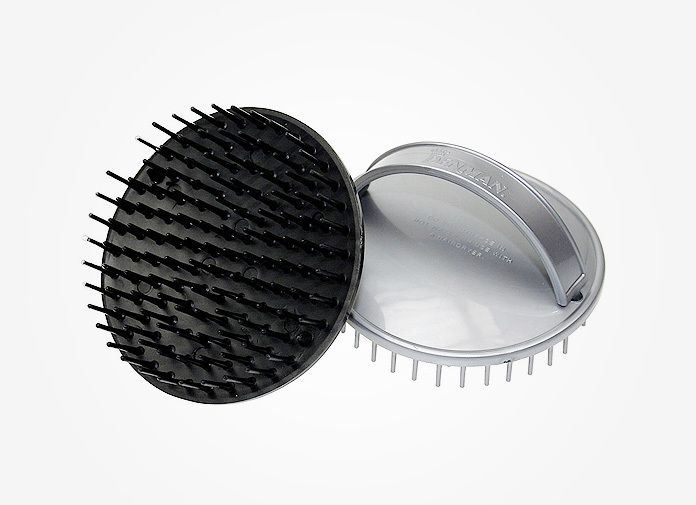 The Scalpmaster hair brush is very affordably priced (around $3). But don’t let the price full you. It still does an effective job cleaning your hair. 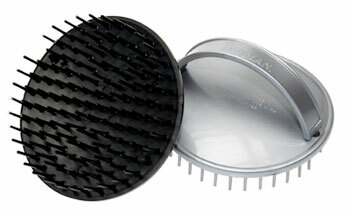 The Denman brush looks similar to the scalpmaster, but looking at it more closely reveals longer bristles. Made in England, the brush is designed to give a gentle scalp massage in order to stimulate your hair follicles. Many users agree that the Denman brush is flexible enough to get through their hair strands to the scalp area and creates a pleasant feeling on their heads. What’s your favorite shampoo brush?